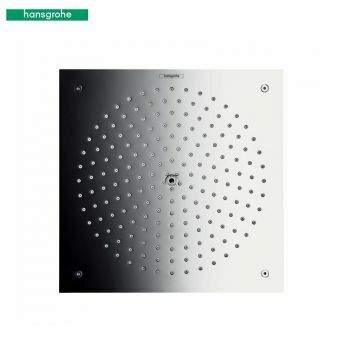 A sleek addition to the bathroom or shower enclosure, the Croma Overhead Shower is a fine example of the Hansgrohe design prowess. 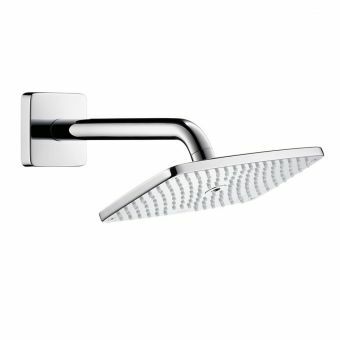 Coming from one of the most prestigious design houses in European bathroom ware, its sleek and balanced appearance is matched only by its high-quality engineering. 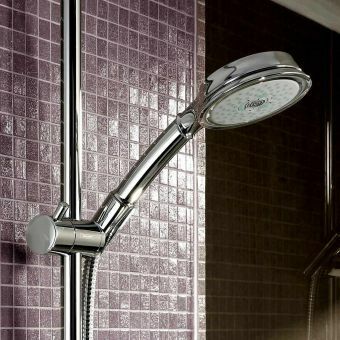 Adaptable to either a ceiling or wall mounted arm, this shower rose provides the discerning user with a flexible approach to renovating or redesigning their shower space. 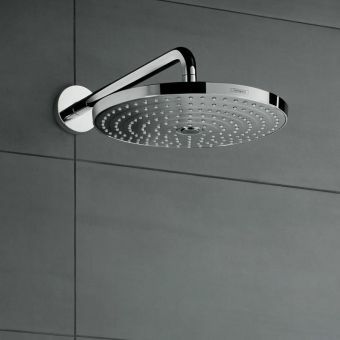 At 160mm or the larger 220mm across, it has been fashioned to give a wide and enveloping Rain spray pattern. 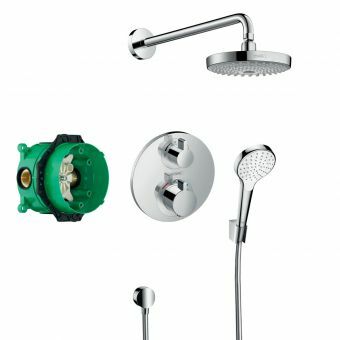 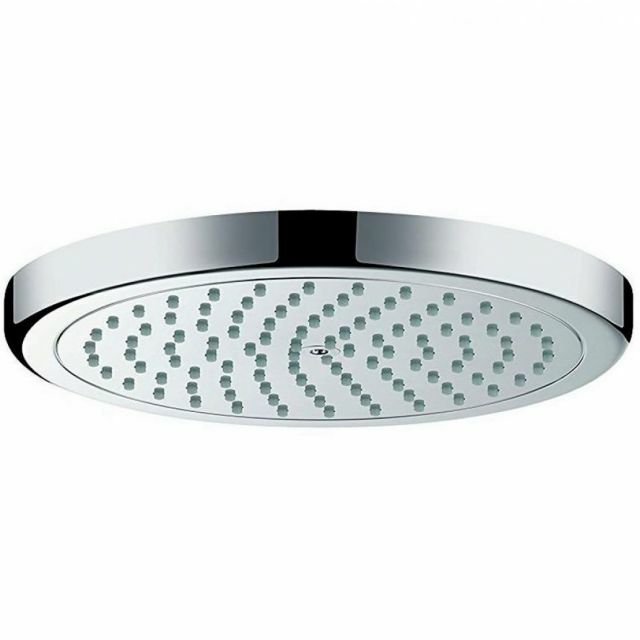 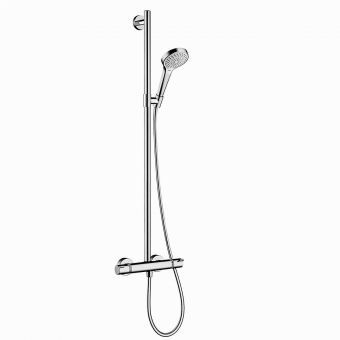 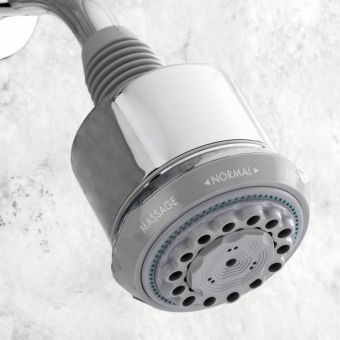 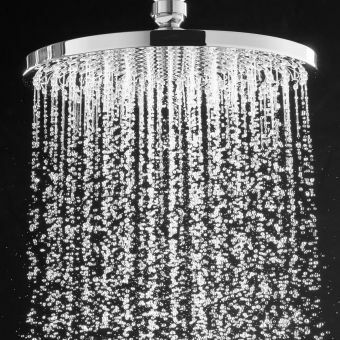 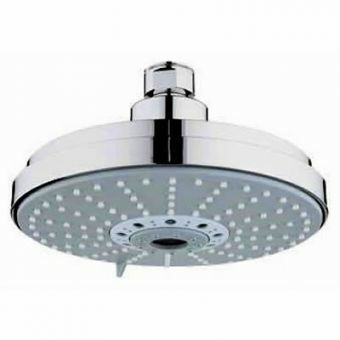 Given a stunning chrome finish in a simple format, this shower head is easy to clean and maintain, with a highly useful anti-limescale system included as standard. 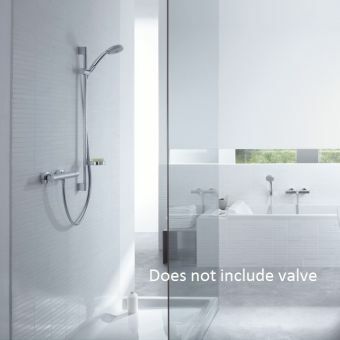 Capable of being matched with a range of modern components from the Hansgrohe collection, it forms a sound basis for a revitalising shower space. 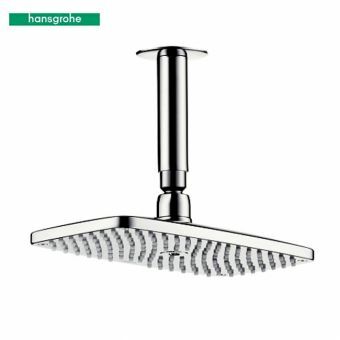 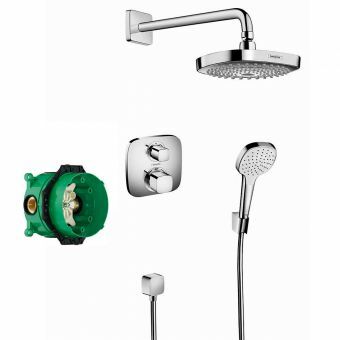 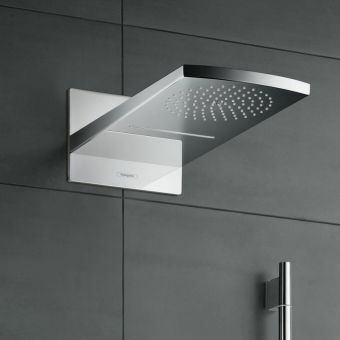 Team it up with a matching Hansgrohe shower arm either from the ceiling or the wall and you will have a top of the range shower system at a price to put a smile on your face.